We cater for the domestic and International market. For the continental US market and international markets, ABD inspects, bids and arranges the logistics of the product to and from auctions all over the USA on behalf of dealers who cannot attend the auctions in person. After the auctions we will arrange the logistics and administration from our central facility in Krum Texas. Our services stretch far and wide and we have served countries from all over the world and we have over 20 years experience in the Auction Business. The founder Andre attended the first Power Sports Action in 1989 giving him years of first-hand experience in the industry. 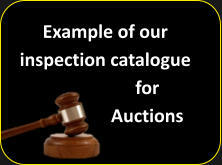 Our Rating System We have a excellent rating system that we use at auctions. We preview vehicles with our own independent rating system that we place on a spreadsheet for our clients perusal before the auction. We also share a information link regarding auction condition reports with our clients This gives dealers a chance to make informed decisions before they commit to buy. This information helps our clients to set bid prices with more accuracy and confidence. Administration at auctions We also take care of the paperwork for our clients at auctions. Logistics We arrange for the logistics for our clients to a loading facility of their choice. Storage For our international clients we have a storage facility in Krum Dallas Texas where we can store products until they have a full container load. This helps to reduce shipping costs. Shipping We take care of all the logistics, titles, loading of containers and administration associated with the shipping for clients. Our business model is unique as we cater for both national and international markets and we can service our clients whether they large or small dealers. Plus you get better deals when you have someone in person inspecting and bidding for your products.